Life insurance on the rise? | Lewis & Ellis Inc.
Life insurance on the rise? The life insurance industry has enjoyed some slow but steady gains over the past few years, as the economy has continued to improve and more consumers have aged into life circumstances that are often seen as requiring life insurance coverage. As a consequence, the new life insurance premium sales have ticked up over the course of 2017. 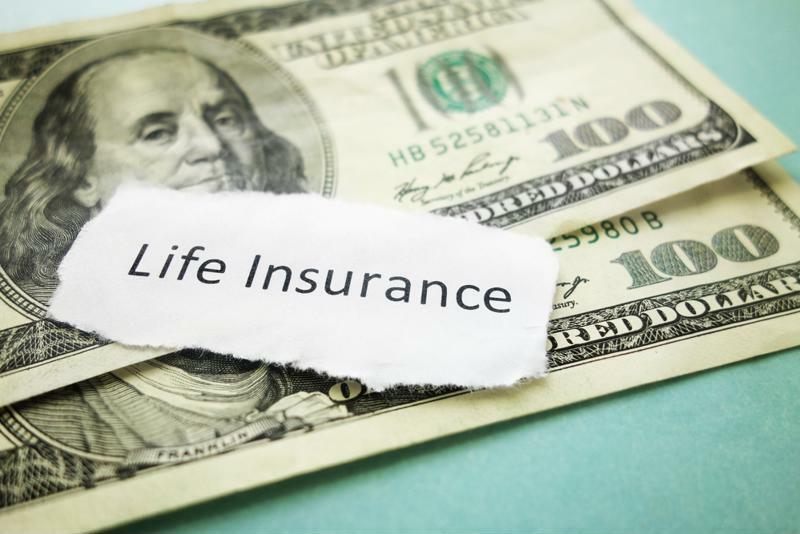 Total new individual life insurance premiums rose 1 percent last year in comparison with 2016, marking the fourth straight year in which this measure increased at least slightly, according to the latest U.S. Retail Individual Life Insurance Sales Survey from LIMRA. However, this increase came despite the fact that the number of new policies sold declined 3 percent, indicating that while fewer people are buying coverage, those who do so are now buying more of it. It will come as no surprise to those in the industry that sales varied sharply across multiple types of life coverage and that was certainly the case in the fourth quarter, the report said. For instance, new premiums for whole life policies slipped 4 percent even as the majority of insurers said they saw growth for these products, and they finished the entirety of 2017 unchanged from 2016. Meanwhile, total universal life premiums slipped 4 percent in the fourth quarter but were up 1 percent year over year, the report said. The big activity driver was indexed universal life, which jumped 9 percent in the fourth quarter, and 8 percent annually. "Most detrimental to [overall] growth in the fourth quarter was a 20 percent drop in fixed universal life insurance sales," noted Ashley Durham, assistant research director at LIMRA Insurance Research. "In fact, non-indexed universal life insurance annualized premium sales fell by more than $100 million in the final quarter of 2017." Finally, term life insurance rose 1 percent in the fourth quarter and 2 percent year-over-year, the report said. These types of policies comprised 21 percent of the total life insurance market last year. Consumers seem to understand the need for life insurance. Meanwhile, the latest data on annuity sales showed that these types of products are still seeing sales slide, according to LIMRA Secure Retirement Institute's Fourth Quarter 2017 U.S. Individual Annuity Sales Survey. In the fourth quarter of the year, sales were flat, countering six straight quarters of decline, but it wasn't enough to outweigh the 8 percent annual decline seen over the course of 2017. Todd Giesing, director of Annuity Research at the LIMRA Secure Retirement Institute, noted that implementation of a new rule from the Department of Labor was one of the biggest drivers of this decline, the report said. However, variable annuities only slipped 2 percent on an annual basis in the fourth quarter, while structured annuities were up 10 percent annually. Total fixed annuity and indexed annuity sales were both up in the fourth quarter as well, and in a lot of cases, some of these declines could be attributed to rising interest rates and consumers turning to more short-term investments as safe harbors for their capital, the report said. Long-term care coverage also taking a step back? In addition, consumers seem to be increasingly shying away from long-term care coverage as part of their overall financial planning, simply because premiums on such policies are starting to rise sharply, according to Hartford Business. In recent years, people who have had long-term care coverage for years are now beginning to see their premiums - already in the thousands of dollars annually - rise by amounts in the double digits each year, to the point that it's simply no longer affordable to keep the coverage. This comes at a time when criticism of the practice is on the rise, and insurers' responses to that problem has been to explain that they made some critical mistakes when it came to estimating long-term costs decades ago, and those must now be accounted for, the report said. However, this has led to many people letting their coverage lapse, and new policy sales certainly haven't improved to the point that they make up the disparity. No matter what type of long-term investments consumers make, it's important that they regularly review their needs and capabilities to determine what mix of financial products will work best for them not only now, but potentially decades down the line as well. Consequently, insurers may have a bigger role to play in helping consumers understand these needs and what they can do together to meet them.